One of the businesses we believe is well-positioned for a strong 2018 is traffic enforcement technology provider, Redflex Holdings (ASX:RDF). RDF is one of the world’s largest developer/operators of red light and speed enforcement systems. Although its traditional Australia and USA markets are mature, the company plans to take its proprietary technology into growth markets across the UK and Europe. In these markets, demand for new installations as well as replacement of legacy ‘wet-film’ based camera systems is several times RDF’s global deployed base of 3,250 systems. RDF is, in our view, a special situation where the business has fundamentally improved over the last twelve months and is positioned to capture a large international opportunity. However, it has a negative stigma attached to it over a past controversy, which still lingers in the share price. Including the $16.4m of fresh equity raised in November, the enterprise trades at less than 5 times our estimate of FY18 earnings before interest, tax, depreciation and amortisation, and less than 10 times free cash flow. These multiples imply expectations of declining earnings. The negativity primarily relates to a bribery scandal in the US which landed the then North America divisional CEO in jail. RDF faced potentially catastrophic fines of up to US$300m in the lawsuit brought by the City of Chicago in 2013. Due to the uncertainty about the company as a going concern, over the following years, RDF was capital-constrained and unable to pursue growth opportunities. However, in February of last year, the case was settled for a more manageable US$20m, with US$10m paid out in CY2017 and the remainder to be paid in instalments over the subsequent 5 years. With a key uncertainty now lifted, RDF’s ability to fund growth has substantially improved. In addition, since 2013, RDF has undergone a complete management overhaul, culminating with the Group CEO appointment in August this year of industry veteran, Mark Talbot. We view the appointment as a strong vote of confidence, with Talbot citing the quality and potential of RDF’s recently launched proprietary camera detection technology (HALO) and citation management software (Alcyon) as key reasons for taking the role. In late October we visited RDF’s Melbourne headquarters to see the latest technology offerings and gain a better understanding of their intended growth strategy. 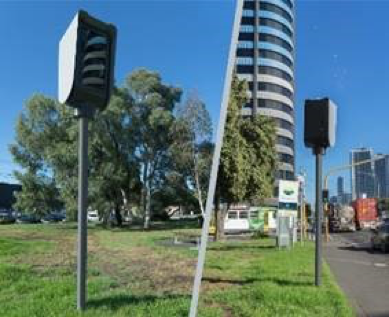 The HALO enforcement product is a world-first in that it provides functionality for all enforcement scenarios in a single pole. HALO improves infringement capture rates, and its configuration lowers installation costs. With Alcyon, RDF has ‘productised’ its back-office system, which is a unified photo enforcement platform. 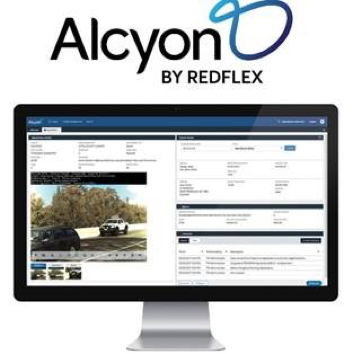 Cloud-based, agnostic, scalable and streamlined to simplify management of photo enforcement cases, Alcyon is a significant value proposition in jurisdictions where citation management is carried out on legacy in-house systems. We believe RDF now has the flexibility to compete strongly in both the Americas and International markets. The Americas are dominated by a small number of players and are almost exclusively serviced on an end-to-end basis. RDF’s BOOM model in the US (Build, Own, Operate, Maintain contracts) produces high recurring revenue, and with plateauing capex, typically leads to strong free cash flow that can be allocated to fund offshore growth objectives. We believe RDF’s proprietary technology gives it an edge on US competitors, which mainly integrate third-party systems and are hence less able to expand globally. Management is confident of defending its approximate 25% share in the US and expects to return to low single-digit growth in the years ahead. International sales are more project-based and RDF competes for contracts for camera systems and/or back office software. RDF’s software is a key differentiator, enabling the company to bid on a wider range of contracts and providing cross-sell opportunities. Regulatory compliance is driving market growth in Europe, which is expected to be over 9% per annum, over the next 5 years. Operationally, Mark Talbot’s near-term focus is establishing a sales-driven culture to execute on the global opportunity pipeline, which the company estimates at $500m with $300m falling in the next four quarters (for context RDF’s FY17 revenues were $120m). Encouragingly, more than half of the $16.4m new equity raised this month will be used for sales and business development in the APAC and EMEA regions. In December the company also secured a working capital facility to support growth. The balance sheet is in good shape with proforma net cash of $20m, reflecting the November equity raising. However, at this time RDF still had an A$17.7m liability relating to the Chicago Settlement, with around $8m of this to be paid over the remainder of FY18. With a strong balance sheet, a highly experienced management team and an impressive product set, we are confident a reinvigorated RDF will return to growth, and reward shareholders in the process.